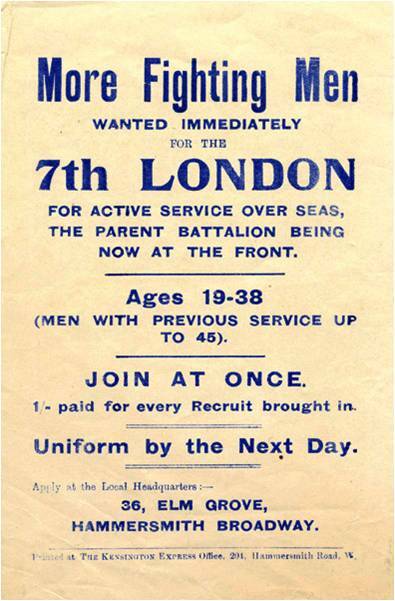 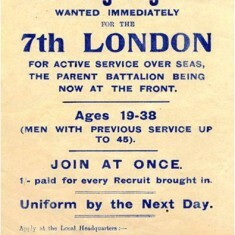 Recruiting poster for the 7th (City of London) Battalion, The London Regiment. 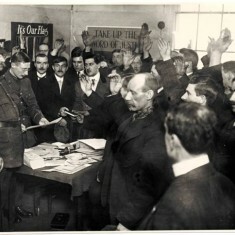 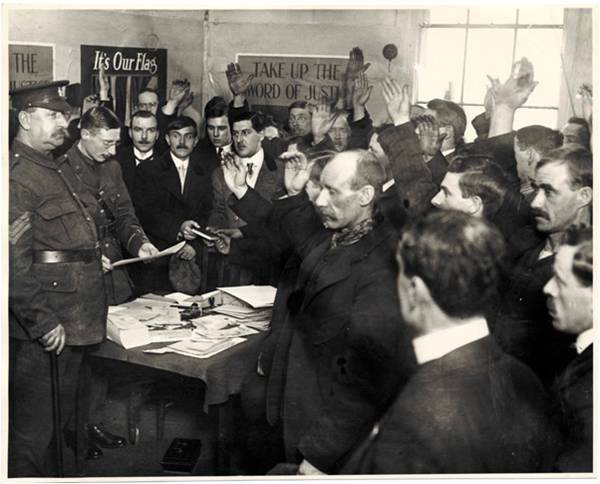 New recruits taking the oath at the White City Recruiting Station, December 1915. 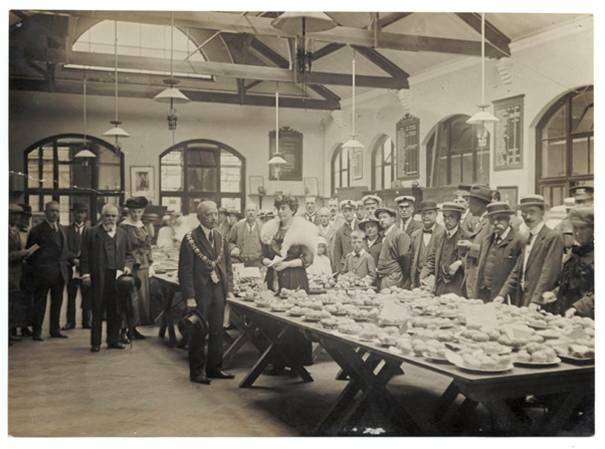 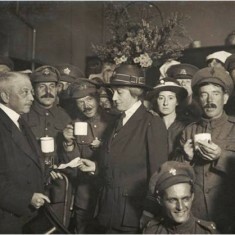 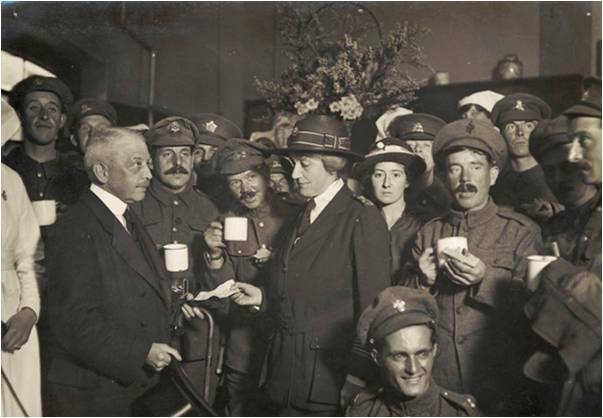 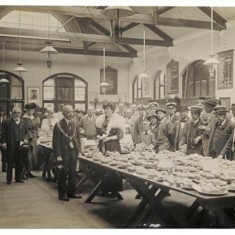 Sir Henry Foreman, Mayor of Hammersmith at a War Canteen. 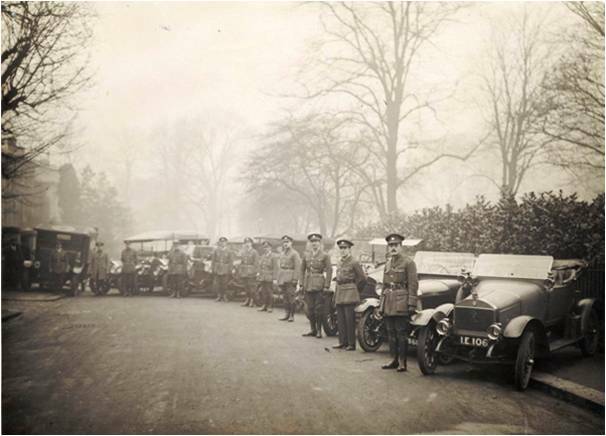 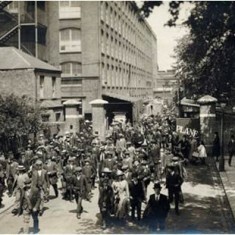 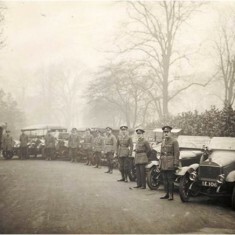 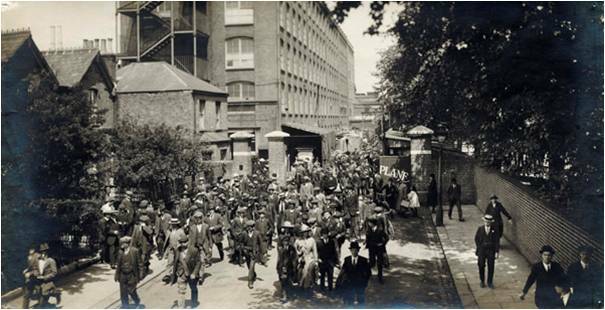 Members of the Voluntary Aid Detachments Ambulance Corps at Ravenscourt Park. 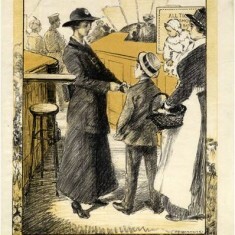 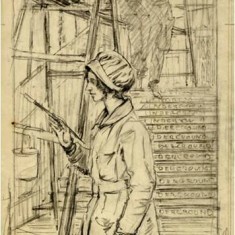 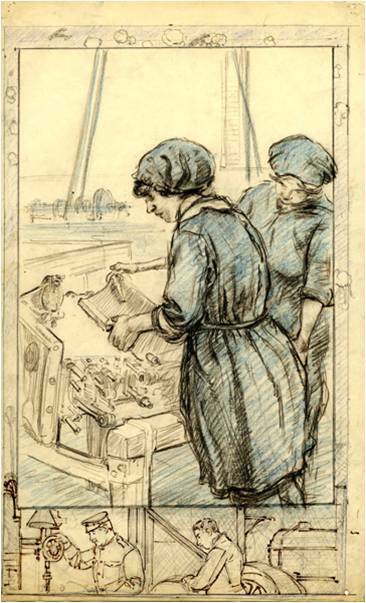 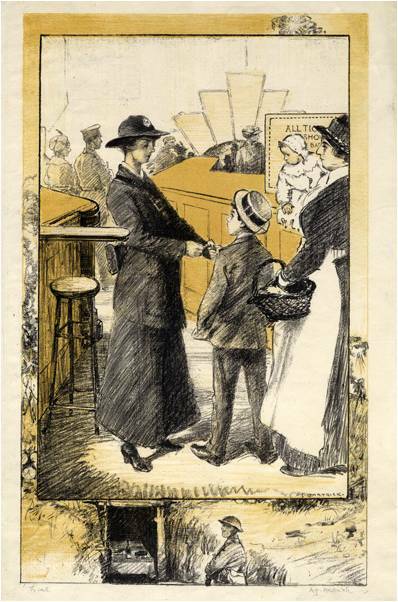 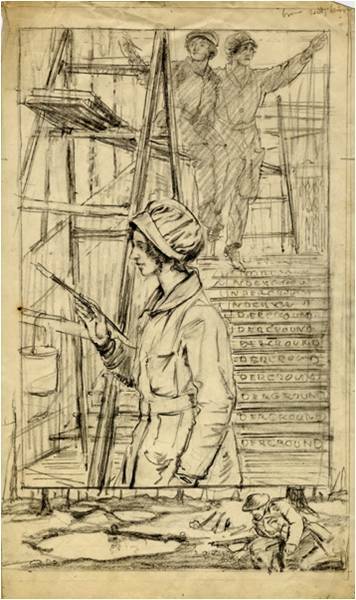 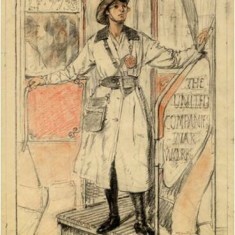 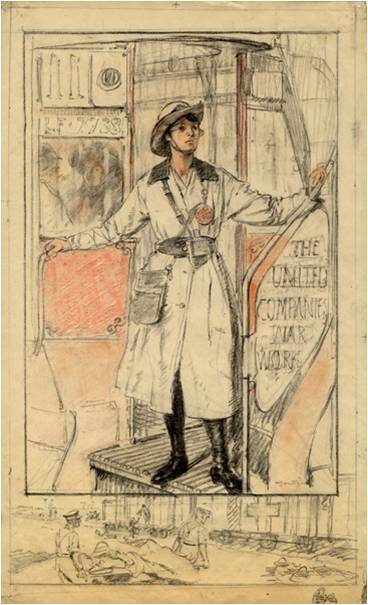 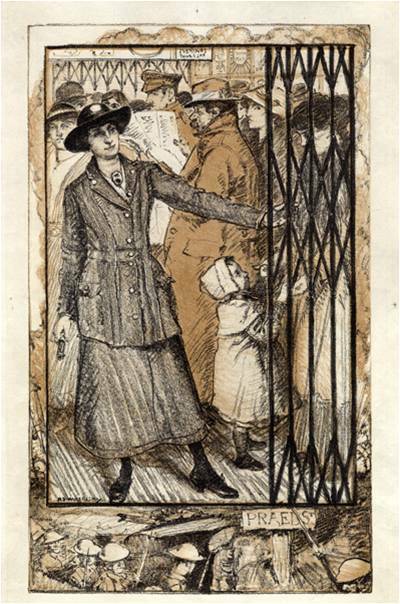 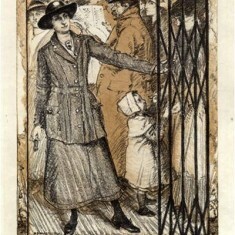 Designs by Fulham resident A S Hartrick for a poster campaign promoting Women’s War Work. 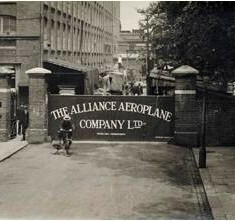 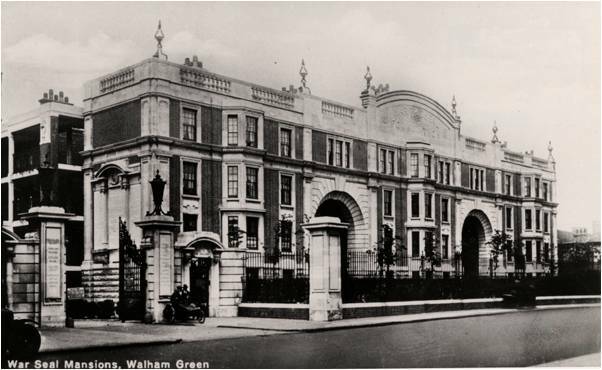 The Alliance Aeroplane Company Ltd, Cambridge Grove, Hammersmith. 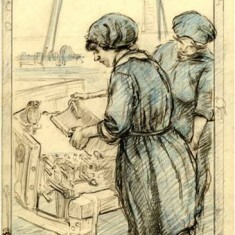 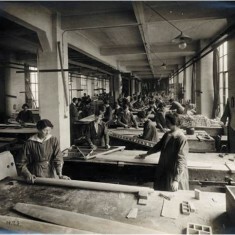 Women workers in the assembly shop at the Alliance Aeroplane Company Ltd, Cambridge Grove. 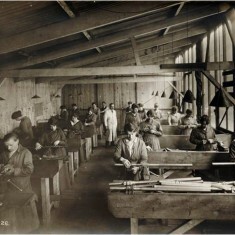 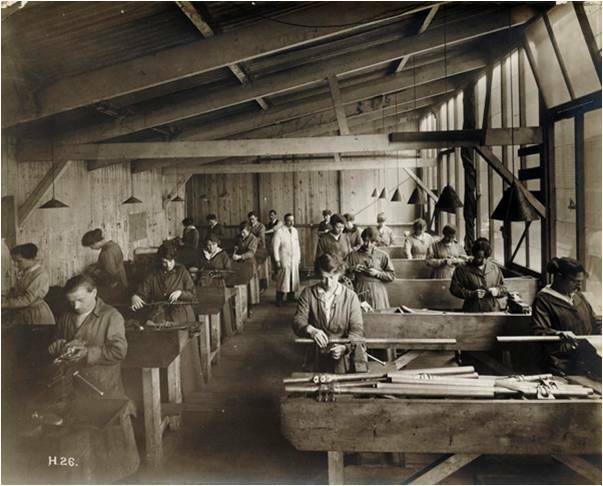 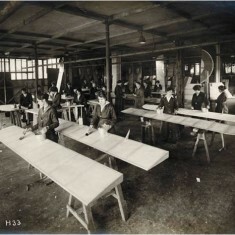 Women workers in the carpentry workshop at the Alliance Aeroplane Company Ltd, Cambridge Grove. 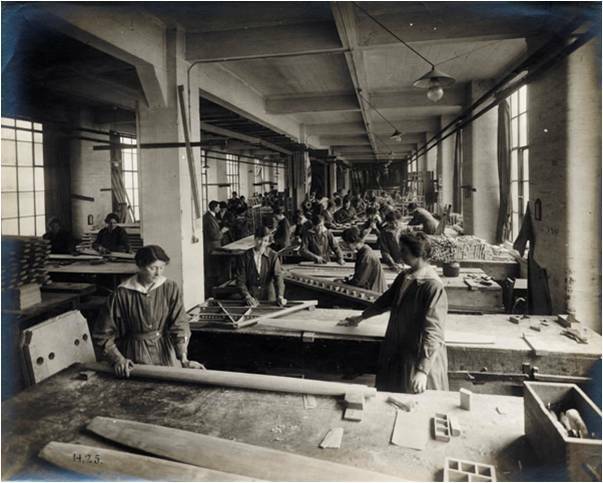 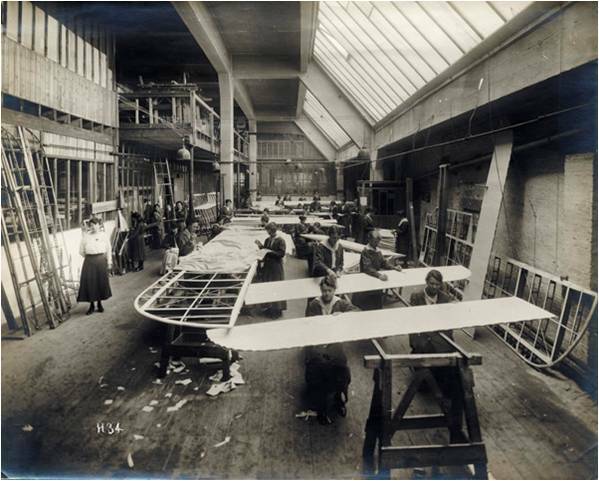 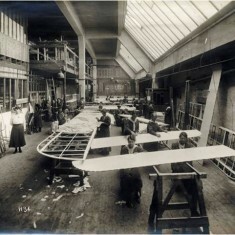 Women workers painting wing sections at the Alliance Aeroplane Company Ltd, Cambridge Grove. 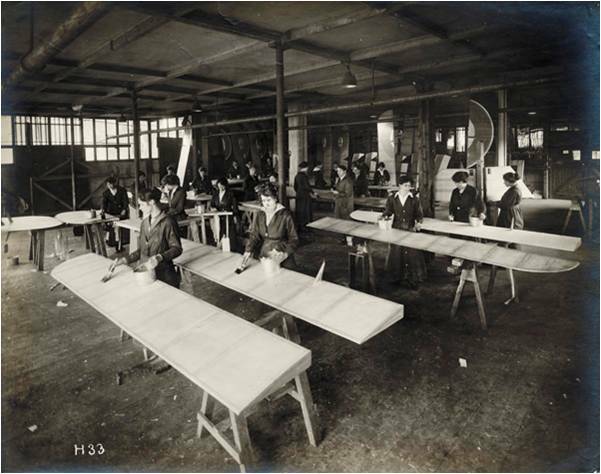 Women workers engaged in the construction of wing sections at the Alliance Aeroplane Company Ltd, Cambridge Grove. 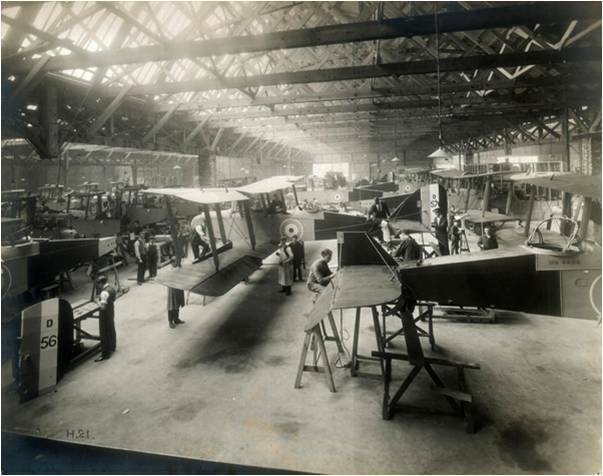 Main erection shop in the manufacture of DH9 bombers at the Alliance Aeroplane Company Ltd, Cambridge Grove. 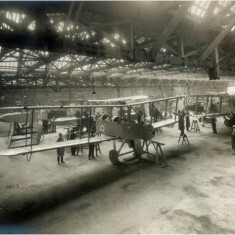 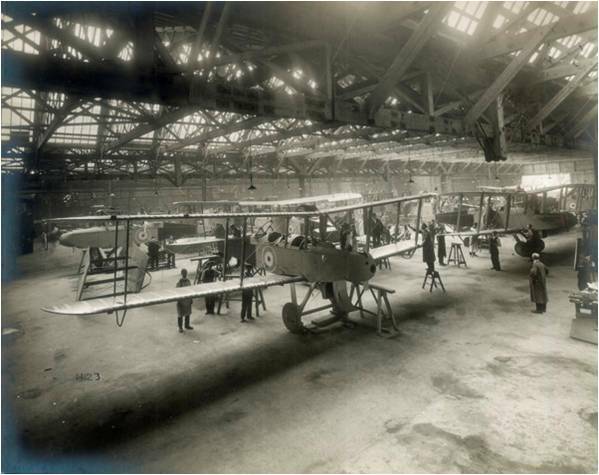 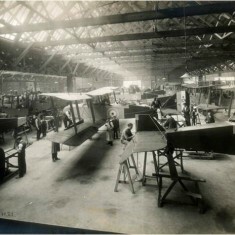 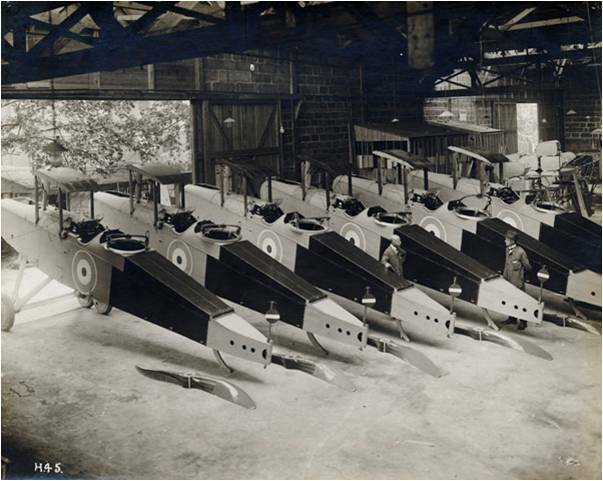 Completed DH9 bombers in the main erection shop at the Alliance Aeroplane Company Ltd, Cambridge Grove. 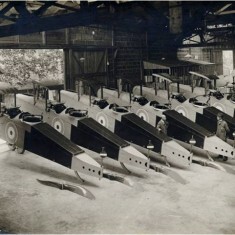 DH9 bombers during World War One passed and ready for delivery from the Alliance Aeroplane Company Ltd, Cambridge Grove. 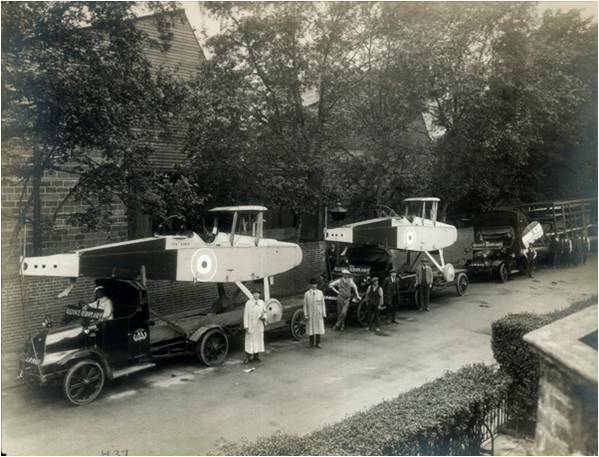 DH9 bombers on trucks outside the factory ready for delivery outside the Alliance Aeroplane Company Ltd, Cambridge Grove. 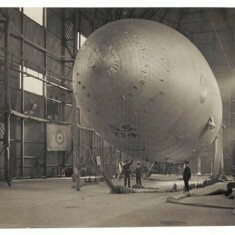 Sea Scout T14, the last blimp to be made at Wormwood Scrubs during World War One. 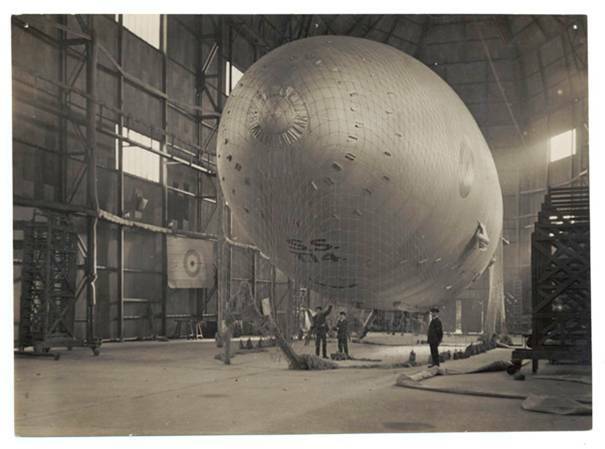 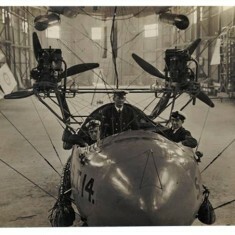 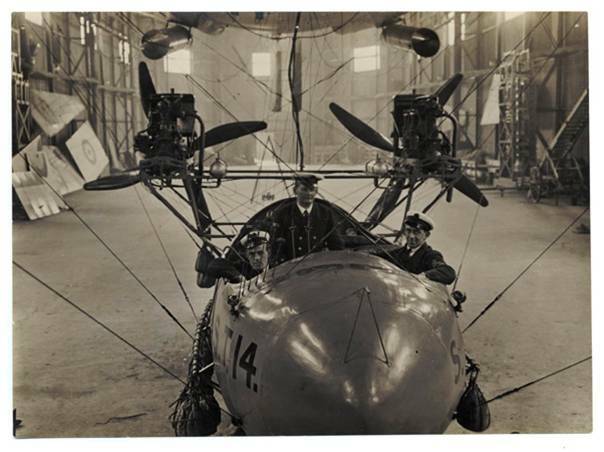 Gondola of the Sea Scout T14, the last blimp to be made at Wormwood Scrubs during World War One. 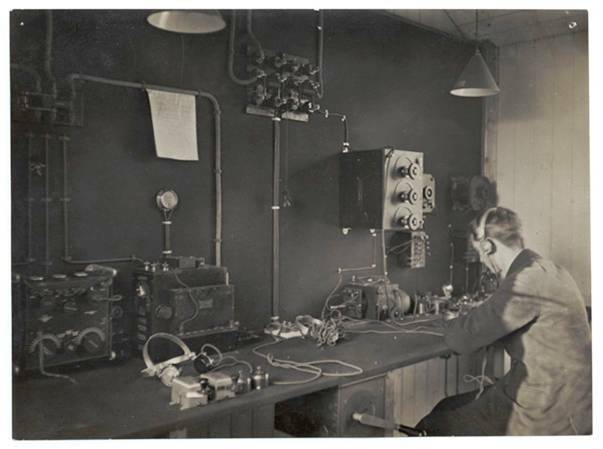 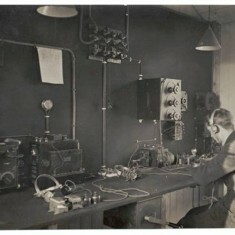 Receiving radio messages from the air from a blimp at Wormwood Scrubs. 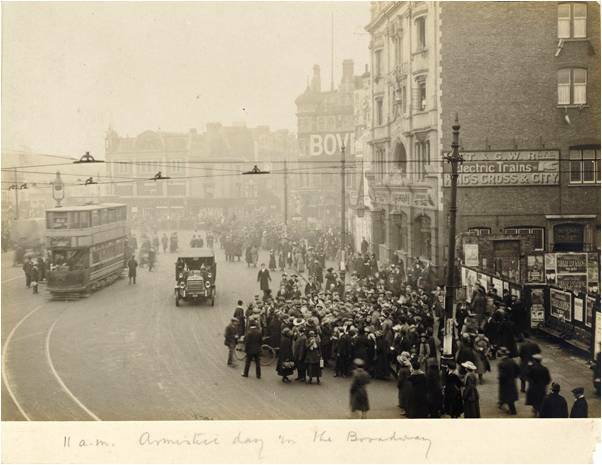 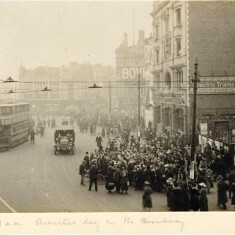 Hammersmith Broadway at 11am on Armistice Day, 11th November 1918. 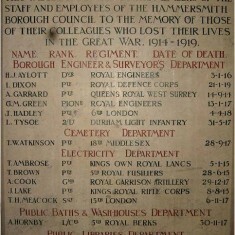 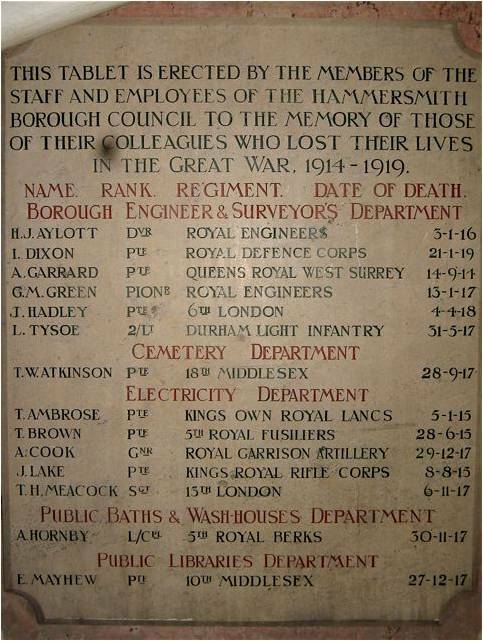 Hammersmith Borough Council staff war memorial, 1914-1919. 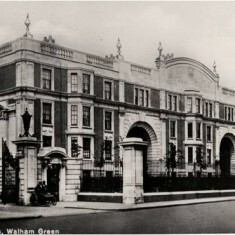 Exterior view of the Sir Oswald Stoll Mansions, Fulham Road, c1925. 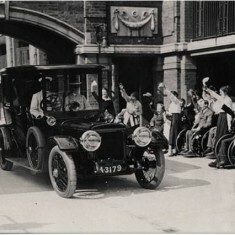 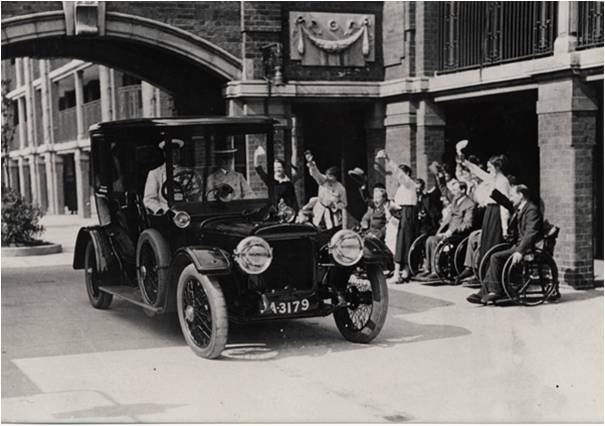 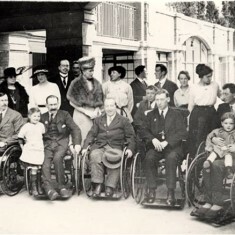 Visit of Queen Mary and Princess Mary to War Seal Mansions, with a group of ex-servicemen in wheelchairs, 5 Jun 1919. 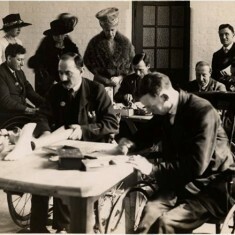 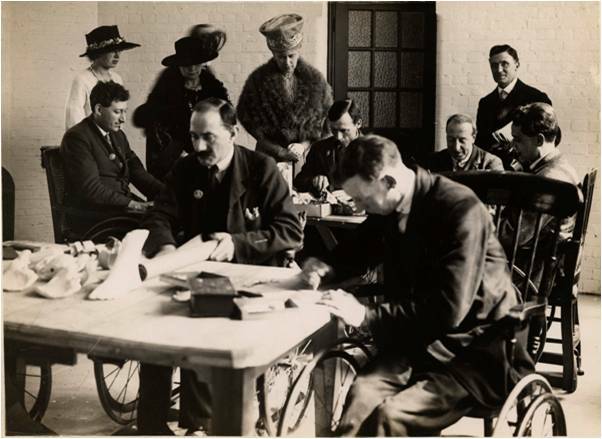 Queen Mary and Princess Mary with ex-servicemen in wheelchairs at work in a workshop manufacturing artificial limbs, 5 Jun 1919. 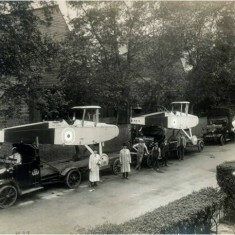 Queen Mary and Princess Mary departing War Seal Mansions, following a visit, 5 Jun 1919. 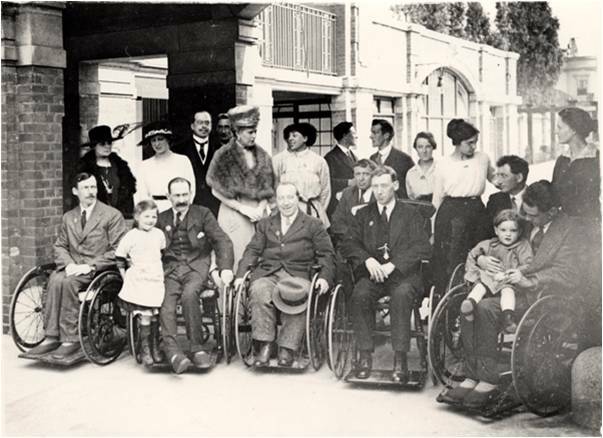 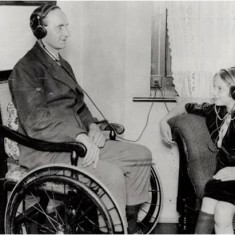 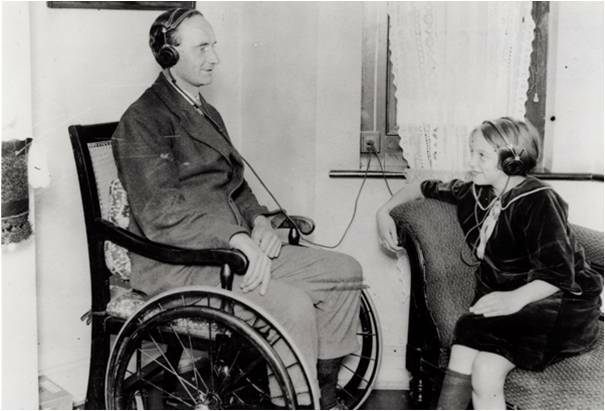 Mr Ripley, a disabled ex-servicemen in a wheelchair at the Sir Oswald Stoll Mansions, Fulham Road, 14 Aug 1925.